Manatee Health Assessments, Kings Bay, Crystal River, Citrus County, Florida USA. January 24, 2012 pm. Researchers from several federal and state agencies work together to gather data during the manatee capture and health assessments. 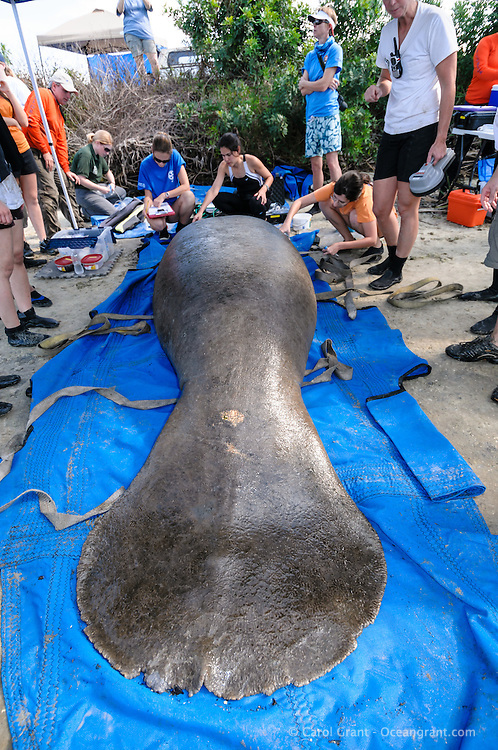 A manatee is photographed and readied for transport to a foam pad at one of the data and sample acquisition stations.